The power of prayer was found to affect the whole life, including the success of the diet. 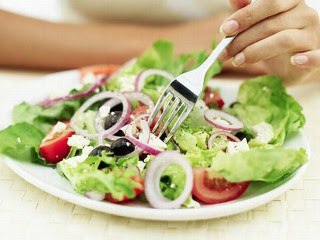 According to studies, people who diligently pray better able to resist the urge to eat, so the diet more successfully. For people who are religious and believe that the intervention of God to determining the success of his diet, prayer would be very effective to improve success of the diet. This is demonstrated in an experiment at the University of Waterloo, Canada. Through an interview session, students who become participants in this experiment was divided into two groups based on their beliefs. The first group believes in divine intervention whiles the second group does not believe so. In the group who believe in divine intervention, religious words either as prayer or spiritual message excerpts shown to increase motivation and make dieting so much appetite control. When quotations are played messages not related to religion, appetite returned to normal.